This election cycle, one congressional race is already a comforting reminder that when a lawmaker spends more time making splashy headlines than substantive policy, he sometimes actually pays for it. 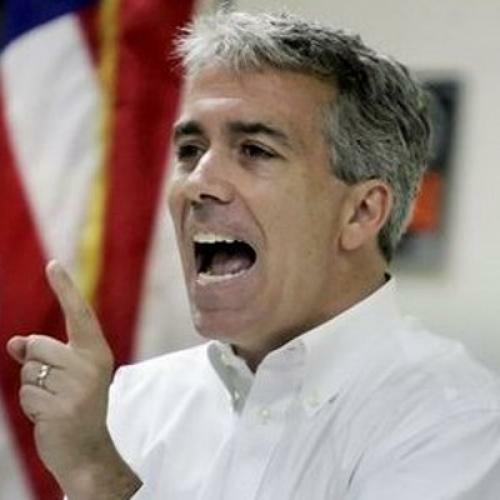 That lawmaker is Representative Joe Walsh of Illinois, a Tea Party incendiary with such legislation to his name as the “Save Christmas Act”, not to mention an unsavory habit of yelling at constituents, and his competition is—well, it’s actually not clear yet. Due to Democratic-led redistricting in Illinois, Walsh’s district got redrawn and he’s been mulling a run in two different districts. He’s already announced his intentions to run in one, then, in Hamlet-like fashion, waffled and hinted to the public he would run in another. He promised to announce his final decision this past Monday—then Monday came and went without an announcement. His latest promise is that he will announce his choice at a Tea Party event at the Cubby Bear restaurant tonight. But no matter where he chooses to run, Walsh will find himself running against the odds. Walsh originally planned to compete in the modified 14th district, which would pit him in an expensive race against Randy Hultgren, the freshman Republican incumbent for many of the 14th’s constituents. Hultgren isn’t a hot political name, but he is an effective longtime state lawmaker—not exactly an ideal matchup for Walsh, whose latest legislation dictates what should happen if the United Nations were to encroach on the U.S. Constitution. But then Illinois pushed back the filing deadline for congressional candidates, and word got out that Walsh was considering a run in his own redrawn 8th district instead, where there is no other incumbent and no credible Republican challenger. So Walsh faces a difficult choice: He can risk the wrath of his party by forcing a divisive race in the 14th, or he can go to near certain death in the 8th, where at least he will draw more GOP support and dollars. But that would be a boon to Duckworth, whose campaign is relying heavily on drawing contrasts between her candidacy and Tea Party-brand Republicans like Walsh. When Walsh indicated he was dropping out of the 8th district race in September, her camp was practically in mourning. Wherever Walsh chooses to run tonight at the Cubby Bear, however, it’s already clear from his vacillations that his hyper-conservative blustering, while good for his personal brand, hasn’t done much for his reelection chances and hasn’t done much for his party. At a Duckworth campaign event, Axelrod accused Walsh of devoting his time in office to “essentially auditioning for right-wing talk radio” instead of governing. At least he’s already got a job lined up.